Ed: This article originally appeared on BookBuzzr.com‘s Book Marketing Technologies Center. 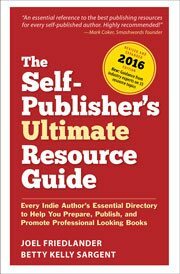 This is a terrific resource for authors and I highly recommend the great collection of articles on book marketing that they are amassing. If you haven’t had a look, check it out. In the last year it’s become common for Twitter to get mentioned on national news programs and celebrity shows, with Tweets being shown onscreen with growing regularly. The popularity of Twitter for celebrities like Sarah Palin, Kim Kardashian and Keith Olbermann to engage with their audience and post instant responses to news events and comments by others has brought the micro-blogging site tremendous prominence. Show up From statistics it looks like many people who set up Twitter accounts never use them or abandon them after a few weeks. That’s too bad, because this has to be the easiest form of social media to use. But first you have to give it a try. Spending time just reading and following other user’s tweets for even 10 or 15 minutes a day will quickly make you feel right at home. I am fairly new to this world of “tweeting”, I find it fun but also a bit challenging to understand its language! lol! But..I am getting the hang of it. The more I read different articles, the more I learn. I find your site extremely helpful in my efforts to market myself in this world of social media. Thank you so much! I’m not so fond of the 140 characters of the tweet message. For one, I don’t like “killing” a proper sentence. Second, when re-tweeting (new English word 😀 ) names’ referrals might take a lot of the message space and it gets too short. I think that names (at least one or two) should not be calculated in the characters’ total. However, it seems that twitter is a necessary tool nowadays. I have a small list of people and I’m already lost through the tweets. Especially since many tweets have links to interesting articles (as this one 🙂 ) and I spend a lot of time reading, commenting and re-tweeting. I know about the Tweetdeck, but I have concerns regarding its security, so I haven’t decided to use it yet. Hi Irene, thanks for sharing your thoughts. I use lists in Twitter to channel different tweets into their own tweet stream, and I find this makes it much more manageable. For instance, I follow a lot of people who work on e-books, so I have them all on one list and can check that list independently. How do you start a list in twitter? It’s probably something I missed. Katharina, go to your home page on Twitter and just beneath the status box at the top of the screen (under “What’s Happening?) you’ll see a series of links, he last is “Lists” and from that dropdown you can create a list. Wow! Thanks Betsy for the heads up anyway. Even though I did not make that mistake, I have made plenty of others in my life. Bless the editors and proof readers. Thanks to both Judys for your contribution here. Judy Helm Wright, I’ll email you about how to incorporate this article in your book, thanks so much for the generous offer. Oooops: while I was writing to Judy Croome, Judy Helm Wright arrived! I need to get my Judies straight… what are the odds of two people named Judy being the first to comment on this post? Sorry! @Judy — I don’t mean to be unsupportive, but your brief message made me realize once again why we editors are necessary to the writing profession in all its manifestations. Judy, do you really mean you need to “absorb asses”? Don’t quite know how that would happen, but it’s an interesting thought. I am hoping you actually meant you must “absorb, assess, and act on” the information Joel so generously offers his readers. A single “s” and two commas change the meaning of that phrase completely, and for the better, I think. Not too many people edit or even proofread their blogs or e-mails before they send them out into the ether, unfortunately. When communication is so easy, and virtually instantaneous, I should think it would be even more important to make certain you are really saying what you mean to say. Sorry, Judy — I don’t mean to offend you, but it’s only 10:00 a.m. here on the Pacific Coast, and I’ve already read three personal e-mails with phrases I had to stop and figure out because of misspellings or weird punctuation. @ Joel: Like so many of your blogs, this one makes me want to DO something — in this case, try tweeting. I first have to take the monumental step of acquiring a cell phone, though, I guess. Joel, I’m very much enjoying your book! And (aside from the contents) I am using your cover as an example to point out to clients who want a white background for their own covers. Your red border stands out on the white Amazon page and attracts the eye immediately, while you still have the advantage of dark letters on a white field. Thanks once again for the generosity you bring to your blogging and writing. You’re a real inspiration! Betsy, I corrected Judy’s typo, since I have the ability to do that. Thanks so much for your comment, and probably the nicest thing someone has said to me recently about this blog. Taking action, as we know, is the only way to go from where you are to where you want to be. As far as the cover is concerned, putting a border around a print on demand book is not generally a good idea, and I would caution my clients against it. So why did I do it? It just seemed right, and I knew I could change it pretty easily (since I’m the designer) in case it didn’t work out. I have written an ebook bonus report on Life Lessons@ 140 characters or less. Would you allow me to put this article (giving you full credit) in the book? Or maybe even links back to this article. Hmmm. Now here was a lot of info I didn’t know. This is probably why my twitter is struggling. I must absorb, assess and act on what you’ve said here, Joel. No 4 will be first I think. Thanks again!